YES, you are reading it correctly…$1.50 Miller Lite/Bud/Bud Light/Rolling Rock, Craft Beer Bucket SPECIAL, Shot Specials & back by Popular Demand…YOU asked!! 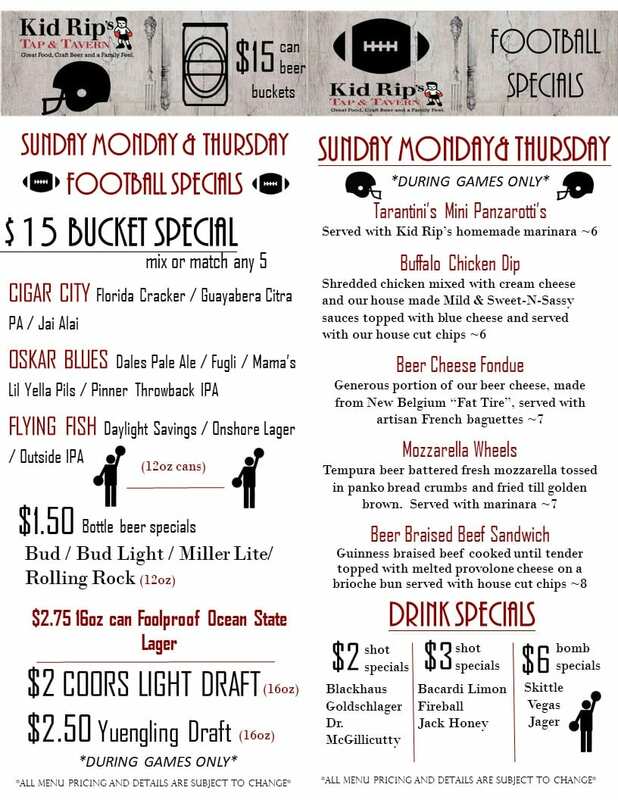 We delivered…BEER CHEESE FONDUE IS BACK for FOOTBALL!! !